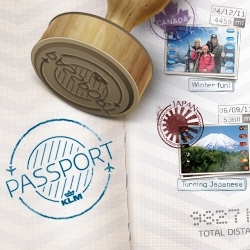 KLM Passport is a travel blog, picture postcard, and snapshot slideshow - in one handy app. Share them directly via Facebook or export movies to your phone’s camera roll, for other sharing options. You can download the app free from iTunes.